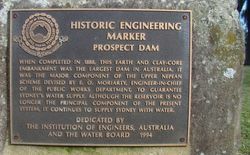 The plaque recognises Prospect Dam as an Historic Engineering Marker. When completed in 1888, this earth and clay-core embankment was the largest dam in Australia. It was the major component of the Upper Nepean Scheme devised by E. O. Moriarty, Enginner-in-Chief of the Public Works Department, to guarantee Sydney`s water supply. 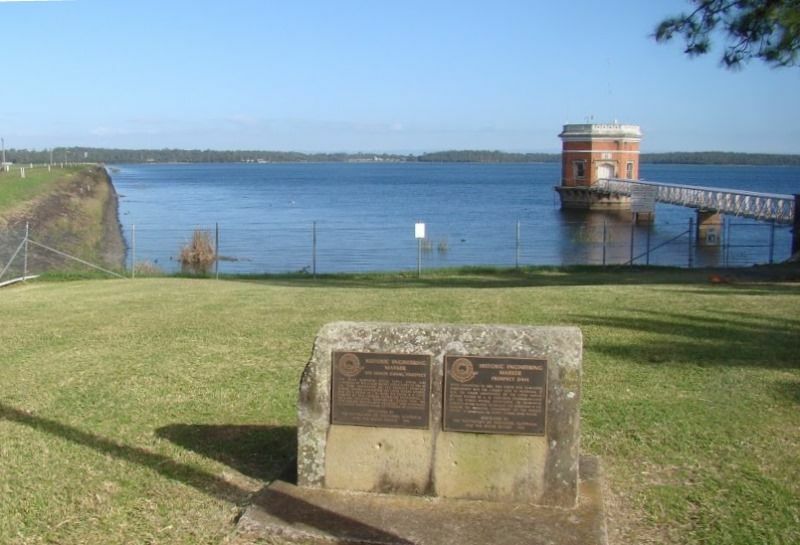 Allthough the reservoir is no longer the principal component of the present system, it continues to supply Sydney with water.